Discover South America can help you with all your Group and Incentive travel needs to Brazil, Argentina, Peru and Machu Picchu, Ecuador and Galapagos, and Bolivia and Chile, to name a few. Company Site Inspections, Meetings, Business trips, etc. to specific destinations in South America or for specific interests like Sightseeing, Adventure, Rafting, Wine tasting, etc. We offer only Quality Destinations, Accommodations, Packages and Tours to Groups and MICE (Meeting, Incentives, Conventions and Events) clients seeking a differentiated travel experience. Our selection criteria includes, among many, the quality of the product and service offered, charm, design, and the Latin American experience it transfuses to our Group and Incentive clients. Whether it be managed or unmanaged groups, family reunions, school groups, incentive travel programs and awards, groups of friends, company site inspections, meetings, business trips, wedding parties, research visits, birthdays, church groups, class reunions, anniversaries, wine clubs, team building, convention planning or professional organizations, we can help you create an unforgettable South America Group Travel experience. We at Discover South America strive to ensure a high standard of excellence and to satisfy all expectations created by our clients. Discover South America offers only Quality Destinations, Accommodations, Packages and Tours to Travelers, and Group and MICE (Meeting, Incentives, Conventions and Events) clients seeking a differentiated travel experience. All products we offer have been visited and selected by our team. Our selection criteria includes, among many, the quality of the product and service offered, charm, design, and the Latin American experience it transfuses to our clients. We at Discover South America strive to ensure a high standard of excellence in the travel services we provide for our clients. In order to achieve this level of service and quality, we implement methods of monitoring our suppliers to make sure they are providing the best possible travel experiences for our guests. To create differentiated experiences and to satisfy all created expectations by being in constant communication with our clients and by accurately portraying products sold. Just a few destinations motivate more than South America. The exquisite cuisines, the nice weather all year round, the beautiful and friendly people, the culture and wonderful sites for social events with terrific views are just some of the many reasons why to organize an incentive travel program in this unique destination. In recent years South America have received large investments from big international hotel chains, which have expanded the product offerings as well as providing world class levels of service necessary for Group and Incentive Travel Programs. Choose Brazil, Peru, Chile, Argentina, Ecuador or Bolivia as the venue for your next group, incentive or convention and be a step ahead of your competition. 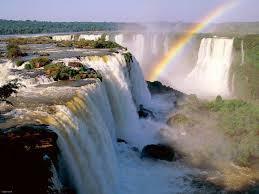 Discover South America works as a tour operator with offices in Brazil. These conditions make it possible for us to offer you every kind of travel services you need; ranging from airline tickets, accommodations, transportation, entertainment and leisure activities. We offer different types of travel products like our pre-selected Hotels (Pousadas, Lodges, Boutique Hotels, Spas and Resorts) and personal Custom-made South America Group Vacation Packages. We guarantee high quality services and fulfillment of all your expectations. All products we offer have been visited and pre-selected by our team. Our Selection Criteria includes the quality of the product and service offered, as well as the charm and design of the location and its infrastructure, as well as the hospitality of the service providers. In order to maintain this level of service and quality, we implemented methods of monitoring our suppliers to guarantee that they are always providing the best possible travel experiences to our guests. Using a qualification system we developed, consisting of surveys and regular visits, we can assure that our suppliers meet our High Standards. Our goal is to guarantee that all expectation linked to our travel services are entirely fulfilled and our clients completely satisfied. 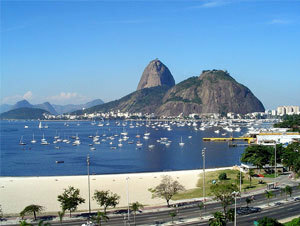 In order to provide our clients quality service we have offices in Brazil. 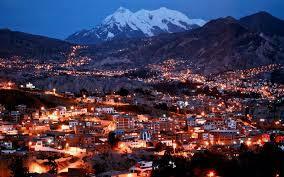 In South America we personally travel to destinations and hotels we book for so we know the areas we work in. 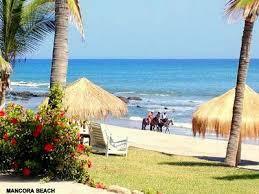 Our key value is the local information resource about every destination we sell. Based on this knowledge, we can offer you all variety of services you might expect. Whatever you are looking for - a resort, a jungle lodge or boutique hotel, we can provide you with a unique experience in Latin America with fun, interesting tours and exiting activities. Our international team provides great value to our clients. As we are able to communicate in various languages, communication problems rarely occur with our clients. We love what we do – making people happy by providing travel services to wonderful and exotic destinations. By taking advantage of the technology available, we have built our business with the Internet as the main platform to provide travelers a better resource and to help them find those unique hide-a-way destinations. 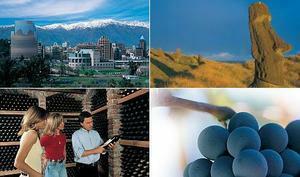 Please find in this section sample Itineraries that we have created for customers in the past.